Rugged, aluminium fence for precision and rigidity. Self-squaring, T-square style design. Mounts to tables between 19 and 38mm (3/4� and 1-1/2�) thick. Features include aluminium extrusion, full-length vacuum chamber, precision lens cursor, and independent fence faces for use as a vertical jointer. 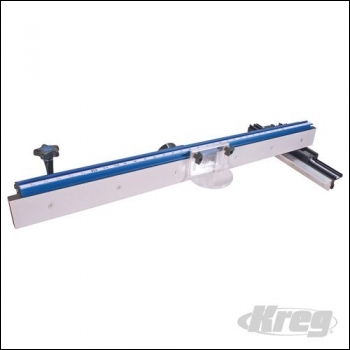 Compatible with Kreg� Precision Micro-Adjuster. 914mm (36").